Formed in the late ’90s in New York City, Interpol burst onto the rich indie landscape of the early ’00s with the release of their first two albums, Turn on the Bright Lights and Antics, cementing their status among peers like The Strokes as one of America’s premiere new era post-punk acts. Several years and two more releases would follow, before the band entered a hiatus in 2011, following the departure of longtime bassist Carlos Dengler. 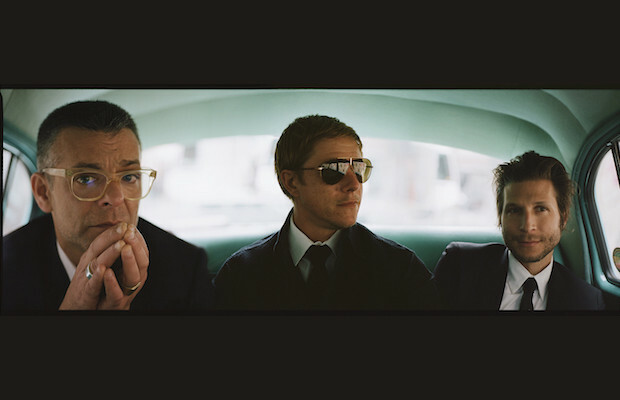 Reunited as a trio, Interpol have returned reenergized in 2014 with El Pintor, and proceeded to tour the world, again become a festival staple, and reaffirm their legacy as one of modern post-punk’s most enduring acts. The trio have stayed intermittently active since, touring on occasion and even embarking on a 15th anniversary run for their debut, all the while exploring new side projects, and balancing the general progression of life obligations any band more than two-decades in will face. After writing and rehearsing off on and on for a couple years around New York, Interpol brought in an outside producer for the first time in a decade, Dave Fridmann, to help craft last year’s inspired sixth LP, Marauder. Tonight, Feb. 11, the group play their first Nashville show in more than four years in support, once again at Marathon Music Works, along with incredible breakout Brooklyn alt rockers Sunflower Bean; a must-see for any fan of post-punk and the prolific indie rock explosion of last decade. Tickets are still available as of writing, so head here to secure your spot! Interpol and Sunflower Bean will perform tonight, Feb. 11 at Marathon Music Works. The show is al ages, begins at 8 p.m. (doors at 6:30 p.m.), and tickets are available to purchase for $40.